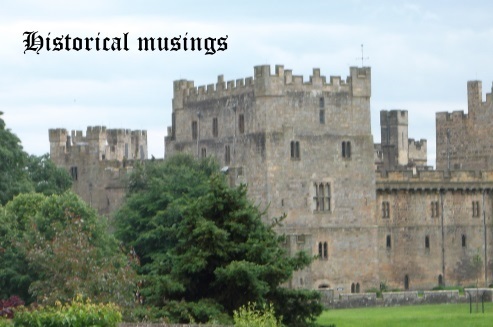 Welcome to my monthly post on all things historical fiction! I have recently read Guy Gavriel Kay’s Under Heaven, which is set in an alternate version of eighth century China, during the Tang Dynasty. Although I enjoyed the book, the historical period it was based on was completely unfamiliar to me, and this made me think about how little I actually know about China and its history. 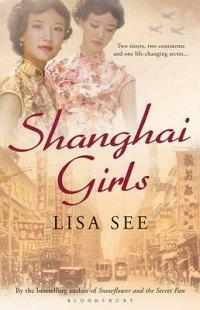 Most of the novels I have read set in China are by Lisa See. The most memorable of these was probably Snow Flower and the Secret Fan, from which I learned a lot about Chinese customs such as foot-binding, ‘laotong’ relationships and the secret women’s language known as Nü Shu. I also enjoyed Shanghai Girls, about two sisters who grow up in Shanghai before being sold into arranged marriages and forced to leave China behind for Los Angeles. In the sequel, Dreams of Joy, the daughter of one of the sisters returns to China and lives through the horrors of Chairman Mao’s Cultural Revolution and Great Leap Forward. Lisa See also wrote China Dolls, which is not actually set in China, but follows the stories of three girls – two Chinese and one Japanese – who work as dancers at a San Francisco nightclub in the 1930s. I haven’t read the rest of her books yet, but have The Island of Sea Women on my NetGalley shelf. There are two books by Jamie Ford that I’ve read which feature Chinese-American characters living in Seattle in the 1930s and 40s. These are Hotel on the Corner of Bitter and Sweet and Songs of Willow Frost. I enjoyed both and gained some interesting insights into life in Seattle’s Chinese communities. Amitav Ghosh’s Ibis Trilogy, which I really enjoyed reading a few years ago, is set partly in China and partly in India before and during the First Opium War. You will need to start with the first book, Sea of Poppies, but the second two – River of Smoke and Flood of Fire – are where the action switches largely to China (mainly Canton and Hong Kong). I loved The Painted Veil by Somerset Maugham which is set in 1920s Hong Kong during a cholera epidemic, but that book was contemporary (published in 1925) rather than historical. 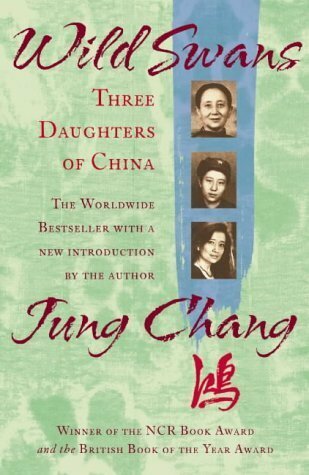 There’s also the wonderful Wild Swans by Jung Chang, which is non-fiction – an autobiographical book telling the story of Chang and her mother and grandmother – but every bit as readable, dramatic and emotional as fiction. Otherwise I’m struggling to think of anything else I’ve read about China. One of my current reads, The Night Tiger by Yangsze Choo, has some Chinese folklore in it but is set in 1930s Malaya – and I do remember, years ago, enjoying a book called Cloud Mountain by Aimee Liu but all the details of the plot have faded from my mind apart from the fact that it was about an American woman who marries a Chinese man in the early 20th century. I’m sure some of you will have read much more about China than I have, so I would love to hear your recommendations. I would be particularly interested in books set in earlier periods – such as the Tang Dynasty I mentioned at the start of this post – but any suggestions are welcome! I too am fascinated by Chinese history, Helen, but I accept that I’ve read very little either fiction or non-fiction. I loved Wild Swans and Snow Flower and the Secret Fan. I would like to re-read Wild Swans and read more from Lisa See. I’ve always had The Painted Veil in my head too – yet I don’t think I’ve ever included it on my much-adjusted Classics Club list. Time for another tweak there perhaps! Have you read any of Amy Tan’s books? Perhaps their storylines are too contemporary for you? I really enjoyed The Painted Veil, which is still the only book I’ve read by Maugham. I would definitely recommend squeezing it onto your Classics Club list if you can! I haven’t read any of Amy Tan’s books – they’re not necessarily too contemporary for me, but she’s just not an author I’ve ever really thought about reading. Maybe I will give one of her books a try. Wild Swans and the novels of Amy Tan are the ones that spring to mind for me too. Plus The Good Earth, which I think is worth reading though not by a Chinese or Chinese-American author. I can also recommend Bronze and Sunflower by Cao Wenxuan, a children’s classic that was recently translated into English (and beautifully done). I’m happy to receive recommendations of books by non-Chinese authors too, so I’m definitely interested in reading The Good Earth! Bronze and Sunflower sounds like a lovely book. Maybe as I have such limited knowledge of China’s history and culture, reading some children’s books would be a good starting point. The Good Earth is actually the first of a trilogy, of which the remaining volumes are Sons, and A House Divided; the last volume takes us through the time of the revolution. Also by Pearl S. Buck and well worth your time are: Dragon Seed, set during the invasion of China by Japan; Peony; about the fortunes of a Chinese bondmaid to a Jewish family in the community which took refuge in China during the–19th?–century; The Mother; and first among equals for me, Pavilion of Women. I also like very much Robert van Gulik’s Judge Dee novels. They are all based on classical Chinese stories, and interesting, if a trifle telegraphic in style, and as van Gulik was a historian, among other things, they are fairly true to their time period. There are others, but that is enough to begin with. Oh–not fiction, but interesting, is Fuschia Dunlop’s Shark’s Fin and Sichuan Pepper, a sorta-memoir by an author who otherwise writes fascinating cookbooks. It sounds as though I definitely need to start reading Pearl S. Buck. I’ll probably begin with The Good Earth and if I enjoy it I’ll look for the others you mention. The Judge Dee novels have been recommended to me before, I think, but I still haven’t tried them. Thanks for reminding me about them. Helen, my recent read Lives of Notorious Cooks by Brendan Connell included some fictionalised biographies of some ancient Chinese cooks. In particular Peng Zu, a legendary Chinese figure known for cooking excellent soup, but I think there were some others too. My only other China read was Peach Blossom Pavilion by Mingmei Yip, about a young girl in an elite house of prostitution at the turn of the century – Not as old a setting as you were looking for, but I thought it was a lovely written novel. They both sound like interesting books, Jessica. I’ll have to look for Peach Blossom Pavilion – I don’t mind that it’s a more recent setting, especially as you say it’s beautifully written. I haven’t read much fiction set in China, but coincidentally have just finished Death of a Red Heroine by Qiu Xiaolong – a crime novel set in Shanghai in 1990. I’ll be reviewing it later, but *spoiler alert* it’ll be getting the full five stars! That sounds interesting and I’m impressed that it will get all five stars from you. I’ve never read any crime set in China, so I’ll look forward to hearing more about it! I’ve read several stories set in China, but THE GOOD EARTH is the one most memorable. Pearl Buck had a way of drawing the reader into the time and setting so vividly that impressions lasted years afterward. Of course, I read it more than once, usually every five or ten years, just long enough to “forget” the story line so that I felt almost as though I were reading it for the first time. I think I will have to read The Good Earth. It’s always great when you find a book you love so much you want to keep reading it over and over again. I had never really considered reading Pearl S. Buck until I saw all the comments on this post recommending her books. I’ve now added The Good Earth Trilogy to my TBR too and if I enjoy it I’ll be looking for her others. Silk Road sounds interesting. I have read Colin Falconer’s book on Isabella of France but haven’t read any more of his books yet. By Colin Falconer I have read Harem, also released as The Sultan’s Harem, based on the Turkish Harem during the reign of Suleiman the Magnificent. I found it fascinating, but it is more palatial intrigue–based on court rumors that have transcended their times– than historical fiction, per se; however, battles and some well-known figures of the period are true to history. I too recommend Dragon Seed by Pearl S Buck. Lisa See’s previous novel, The Tea Girl of Hummingbird Lane, is also set partly in China and goes back in history with people way up in the mountains who grow tea, good history it is too. Two books that deal with the beginnings and outcomes of communism and the Cultural Revolution, Mao, etc are Brothers by Da Chen, who lived through that time himself. (https://keepthewisdom.blogspot.com/2008/02/brothers.html) and Do Not Say We Have Nothing by Madeleine Thien (https://keepthewisdom.blogspot.com/2017/03/do-not-say-we-have-nothing.html) As far as ancient Chinese history, I will be interested to see what you find. The Tea Girl of Hummingbird Lane sounds good. I need to read The Island of Sea Women first, then I’ll go back and read that one. Thanks for the other two suggestions – I’ve found that period interesting since reading Wild Swans. I will keep searching for books on earlier periods! Great post although the only books I’ve read are the ones you mention. I didn’t finish the Ibis trilogy though – is the third one as good? I enjoyed all of the Ibis trilogy books and I thought the third one, Flood of Fire, was the best of the three.